Item as advertised. This is my 3rd unit in about 2 years. Wish they lasted a bit better but guess I should be grateful someone sells these covers for my phone. The cover fits and protect the edges too. Highly Recommend Omg love it! The screenprotector not easy to apply but omg! The coverage and protection is so much better :) i love the bumper case, makes my phone look good and all corners are safe when i drop my phone.. Item comes in good condition. Prompt delivery. Normal Singpost delivery received within 3 working days. 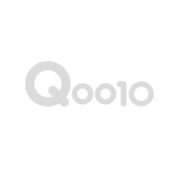 As usual q10 has done what it says on the tin. Well satisfied. Repeat purchase. Realiable seller with fast delivery. Casing is fine. The free screen protector is horrendous. 2nd time buying as it is harder to find HTC cases outside. Do you have stock for HTC u11 plus? Hi, I am interested in the HTC U11 Imak type F clear casing and the glass screen protector. May I know when the stock will be in ? Do you have flip case for HTC U PLAY 5.2in ? For the full screen protector for the HTC U11, does it have the halo effect? Also, can it be used with the Spigen liquid crystal case without the screen protector being lifted from the edges? Thanks. it is soft tpu screen protector and will be compatible with all cases.